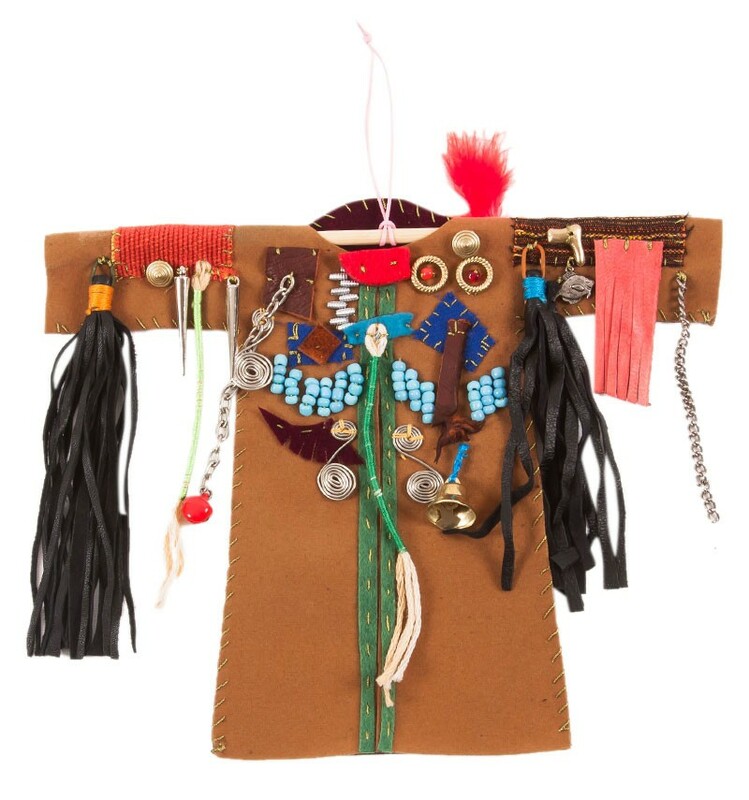 Shamanizm is seen all around the world with different costumes. 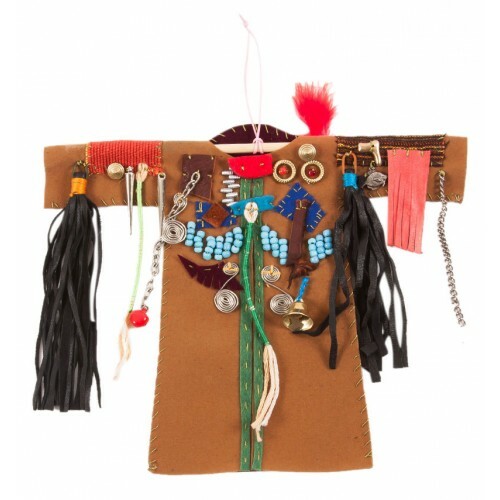 The wall hanger is a symbolic shaman costume inspired from different cultures by artist Ferhan Atalay. Dimensions: Height 18, width 22 cm. Ferhan Atalay born in Safranbolu 1962, had worked in Ozdemir Yemenicioğlu’s Studio for several years in Balıkesir. She has graduated from Anadolu University Public Relations Department. She displayed 15 personal exhibitions and a member of UPSD. Some of her paintings are exhibiting at Izmir Devlet Resim Heykel Museum, Şanlıurfa Devlet Resim Heykel Museum, Istanbul Tekel Collection and Ziraat Bank Collection. 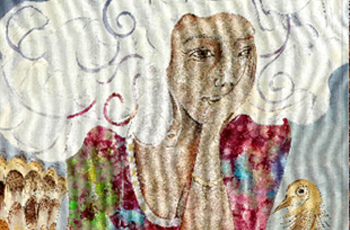 She is stil working in her atelier.